Mike Gascoyne Mike has been appointed as technical director of Team Lotus as they head back to Formula 1. See Anglia Lotus goes back into F1 . Mike was previously technical director at Toyota F1 and is a real engineering 'personality' - see also http://www.wcremembered.co.uk/mag80_3.html. Jeffrey Engmann Urban Music Scheme 2008 £10,000 award winner. Jeffrey is a film-maker, currently producing some of the best underground videos for artists such as Chipmunk, which are getting lots of airplay on MTV Base and Channel U. With limited funds and training he has consistently created high quality and innovative videos. The funding will allow him to upgrade equipment, get training and access networks in the music and film industry. He also directed the Chipmunk’s Oopsy Daisy and Diamond Ring Music Videos. Trevor Corless Played Rugby for England. "How could you forget Trevor Corless, that nifty England centre and Mose man through and through" offered one fan's e-mail. (Trevor is gratified that his public remember him. Unfortunately he has asked us to point out that, not for the first time in his life, he has been mistaken for his brother, Barrie.) Whilst TC concedes that Barrie was indeed silky skilled and an England international, Trevor, apparently, is "by far the better drinker and the more handsome of the two". For those that remember, Trevor was a Prop forward for Birmingham (the REAL Birmingham RFC), Moseley and N. Mids, to name but a few. He was also an England triallist and played for Midlands Division. Most recently he is the chap who makes the announcements at MFC home matches ......... It should also be mentioned that TC has been an outstanding M&J coach for more than a decade, and Barrie (10 caps for England 1976-8, the first full time Director of Rugby at Gloucester in 1995) is now part of the First XV Coaching set-up at Moseley)." Norman Lamb Solicitor and Liberal Democrat. Elected Member of Parliament for Norfolk North on 7th June 2001. Norman has lived in Norfolk since 1971 - apart from university, law school and a job at Westminster for a year. He is married to Mary and they have two children, Archie and Ned. Norman's family moved to Norfolk when his father, Professor Hubert Lamb, established the Climatic Research Unit at the University of East Anglia. The Unit has become a world renowned research institution. Achieving a degree in law, Norman was President of the University Law Society in his final year. He then qualified as a solicitor after working for a year as a Parliamentary Assistant for Greville Janner, QC, MP. Norwich City Council was Norman's first employer. He worked there as a senior assistant solicitor before joining Norfolk solicitors Steele and Co. A year after joining the company Norman became a partner, and went on to head the firm's specialist Employment Unit. He was recognised as a leader in employment law in the two national guides to the legal profession: the Legal 500 and Chambers Directory (he is described as "charismatic"!) and is the author of a book on employment law: Remedies in the Employment Tribunal: Damages for Discrimination and Unfair Dismissal , published by Sweet and Maxwell in 1998. (now Peter Amory) Actor; born 2 Nov 62. Played Christopher Tate in Emmerdale Farm until 17th September 2003 (when Chris poisoned himself). Allegedly had the joint smelliest feet in Peel 81-83 (with Dave Whybrow). Peter then landed the role of Rob, boyfriend of Stephanie - played by future EastEnders star Michelle Collins - in two series of the sitcom Running Wild. Her parents were played by Ray Brooks and Janet Key, who had encouraged Peter in his acting career years earlier. He also acted a detective assisting John Thaw in an Inspector Morse episode when his usual sidekick, Kevin Whately, went undercover in the story. 'I played a bumbling fool, making all the mistakes,' Peter recalls. He was also a policeman in The Chief and appeared in Casualty, Chelworth and Gentlemen and Players before finally joining Emmerdale in 1989. Five years later, he married Claire King, who played his screen stepmother, Kim Tate. Wymondham College 1967-74. Understood to have been friendly with Pauline Gibbs and Hilary Garrard. Played Hockey for the 1st XI 1972/73 and 1973/74 - photos in the Gallery. Actress. Has appeared in Coronation Street (Mrs Grice, 1991), Emmerdale Farm (WPC Wendy Lunn) and The Bill (Judy Herbert in 'Whispers' 3-parter in 2000 and Anne Merrick for 4 episodes in 2002). Additional TV appearances in the 'Don't Rock the Boat' comedy series (as Yvonne, 1982-3), the 'Springhill' spooky drama serial (as Marian, 1997), 'At Home With the Braithwaites' comedy serial (March-April 2003) and 'Seeing Red' (a Granada film). More recently in Corrie as dementia sufferer Lesley Kershaw, Full credits here. Actor. Appeared in Our Friends From the North, Kavanagh QC, Prime Suspect and Henry VIII (as the Duke of Norfolk - 2003). Extract from an interview: Mark was born Marco Giuseppe Salussolia, the only child of an Italian father and an Austrian mother who emigrated to London in the 1960s. His mother changed his name by deed poll so that he would "fit in". "I think she probably just opened a dictionary," he laughs. Educated at various boarding schools in Surrey and Norfolk, he spent most of his childhood away from his family while his mother worked in Germany. "School was in a little field surrounded by loads of other fields, so they gave us lots to do to keep us busy. I had a great time. It was where I learnt to relate to other people, not having grown up with brothers or sisters." After a drama degree at Royal Holloway, and a post grad course at Bristol Old Vic, it wasn't long before Mark was clocking up his stage hours in rep. "It was gold dust - it gave me the chance to learn and make mistakes without being punished for them," he says. "I have played everything from second spearholder to the lead at the National." Patsy Calton (nee Yeldon) Patsy was re-elected as MP for Cheadle in the 2005 general election, but died on Sunday 29th May after a long battle with cancer. Liberal Democrat leader Charles Kennedy said "Patsy was a spirited and courageous MP, and nowhere was that spirit and commitment more evident than in the way she continued to represent Cheadle throughout the recurrence of her illness during the general election campaign, and most movingly when only last week she took her oath in the House of Commons. Despite her desperate illness, her determination shone through." Patsy was at the College from 1960 to 1967 (initially in South House, then Winchester). Liberal Democrat MP for Cheadle. She was married to Clive, with 2 daughters and 1 son. Nick Haverson Actor, and (possibly) singer. Attended Wymondham High School before transferring to WC for Sixth Form studies, as a day pupil in Peel. Played rugby for 2nd and 3rd teams. Shown at left with Janie Dee in the play 'Comic Potential.' Click thumbnail to enlarge. Paul Greenwood Member of the Royal Shakespeare Company. Born 2 Aug 1943 at Stockton-on-Tees. Wymondham College 1955-57. Nick Crane 1967 - 1972; Durham House then New Hall. Appeared on 'Now get out of that' for Oxford. (Bernard Falk compéring). Has had many escapades, including a 10,000 km walk across the roof of Europe, resulting in an appearance on John Dunn's 5 o'clock Radio 2 programme and 'Wilderness Walks' (BBC 2). Nick and his brother (or cousin?) Richard have done all sorts of stunts for an ecology charity that they used to work for. Books about their experiences include 'Bicycles up Kilimanjaro' and 'Journey to the Centre of the Earth, where they rode Raleigh Tourers to a point in China which they believed to be the world's most distant point from the sea. He presented the 'Map Man' and 'Coast' series' on BBC in the 2004-2006 period and has written many books . A professional singer/songwriter/musician, currently living in Arcachon, France. Played in various bands during his time at Wymondham, and was actively encouraged by the staff to pursue his musical and dramatic passions. 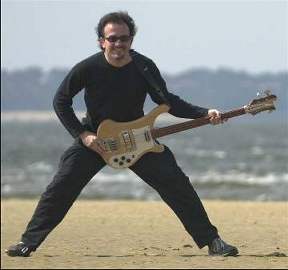 He turned down a place at Exeter University, and went on to play bass guitar with a string of bands (Moving Fingers, Undercover, The Persuaders) before moving to the south-west of France in 1995. Click thumbnail to enlarge. "Lenny Brenner was born just 9 days after we supported Joe Cocker! Wow, that was a good month. I have a new album out called 'Lovers & Friends' which is getting some good reaction. We'll be playing in the UK in April 2007 and performing at a big (60,000 people) festival over here in France in August." Basses : G&L L-2500 five string, Rickenbacker 4001 V63, NS Design Electric Upright bass, German double bass. Guitars : G&L ASAT Classic (like a Telecaster...) electric, Takamine New Yorker acoustic. 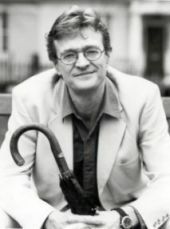 Ron Wilson Ron Wilson (Wymondham College 1954-58) began his writing career at a very young age. He entered a competition in his mother's weekly magazine - and won a conjuring set. However, he was disappointed when he couldn't make anyone disappear! Ron was also involved with local radio & produced and presented the Country Air programmes for seven years. Sadly, we learned in May 2002 that Ron had recently died. Adam Rayner Adam Rayner left the College in 1995 and has risen quickly to the ranks of the 'actors about to succeed.' 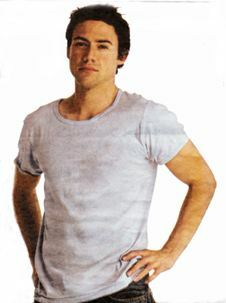 His career was given a nudge in 2002 when he moved from the role of understudy to take over from Matt Damon as lead in 'This is our Youth' at the Garrick .... albeit for a fortnight before Damon returned for the final few performances. Brian Perry Dr Brian Perry (North/York 1957-64) was recently awarded an OBE for his services to veterinary science in developing countries. He is the Head of the International Livestock Research Institute (ILRI) epidemiology research project, based in Nairobi. Brian is a keen Polo player and is Chairman of the Nairobi Polo Club. A recent hip replacement hasn't diminished his activities, which also include wind-surfing and sky-diving! 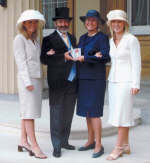 Brian with wife Helena and daughters Anna and Philippa outside Buckingham Palace, June 2002. Jay Thomas Actor. He was Nathan in Hollyoaks for a year and has also appeared in Cold Feet (ITV). He was in Fry 1995-99 and later attended Manchester Metropolitan School of Theatre . 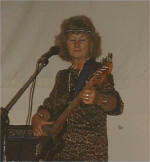 Trudy was in West House and left the College in 1962. She has lived in Zimbabwe since 1980, became a citizen in 1989 and is now a Movement for Democratic Change MP, representing Harare North. The photo shows her being sworn in (click to enlarge). In Parliament Trudy is on the Standing Rules and Orders Committee, Public Accounts Committee and Foreign Affairs and International Trade Committee. 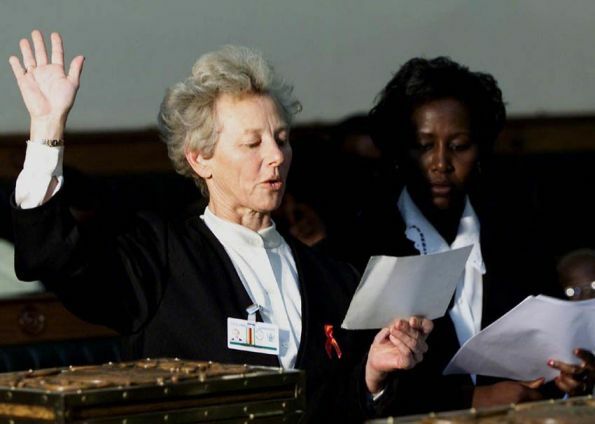 She says: "Mugabe does not frighten me, I feel it is my duty to stand up for the rights of all." David was at the College 1977-83 (Kett and Lincoln). He is now Anglia's Head Of Weather and environment correspondent, having been a news journalist at Anglia since 1990. He was appointed environment correspondent, with prime responsibility for Anglia's on screen weather presentation in 1998. He has lived in Norfolk since 1977 and was a reporter and newsreader with Radio Broadland before joining Anglia. David is now also Deputy Editor of Anglia's Regional Programme Unit, and oversees the production of many of Anglia's most important shows. The College provided two earlier weathermen to Anglia - teachers Eric Dudley and Frank Laughton in the 1960s/70s. Stephen Byers Stephen Byers was born in 1953 and attended Wymondham College, Chester City Grammar School, Chester College of Further Education and Liverpool Polytechnic. He was a senior lecturer in law at Newcastle Polytechnic from 1977-1992, was elected to North Tyneside Council in May 1980 and was its Deputy Leader from 1985-1992. He stood as the Labour candidate for Hexham in the 1983 general election. Stephen was elected as Labour MP for Wallsend in 1992. He was appointed an Opposition Whip in 1994 and was made Shadow Minister for Training and Employment in 1995. In 1997 he was elected for the new seat of North Tyneside. After the election he was made Minister of State for School Standards. In July 1998 he entered the Cabinet as Chief Secretary for the Treasury. In December 1998 he was appointed as Secretary of State for Trade and Industry. He held this post until the 2001 General Election after which he was made Secretary of State for Transport, Local Government and the Regions. He resigned from the Government in May 2002. "I was very interested to discover that Stephen Byers MP is the same Stephen Byers who attended WC and thought you might like to know why there isn't much mention of him in the school archives. I was very friendly with his sister, Carol. 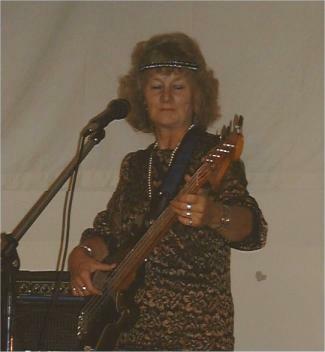 We all moved to RAF Coltishall at the same time and I kept in touch with her until the early 70s when we both moved house at the same & lost touch. I remember her telling me that her brother went to WC but didn't like it. I believe he was only there for one year and he certainly didn't stay more than 3yrs. I wonder if I could contact him to find out where his sister is without having to join the Labour Party!" "Stephen was one of my best friends at the school and was a housemate of mine at Durham from 1962 or 1963 for a few years. I left at the end of the 5th year after enjoying a very hazy evening in Wymondham pubs when I should have been at a film or dance or something. I recall getting caned, which along with getting the green flash plimsoll a few times down the years, made my mind up it was time to go. I know that Stephen hasn't got any particularly fond memories of Wymondham, which is probably why it doesn't appear much in biographies of him. Like me, he thought that some of the discipline was excessive and sometimes quite nasty. What I do remember was that he was a very good swing bowler in the cricket team and was known as "Chinky" ( a very un- PC observation on Stephen's eyes before he wore glasses). If you look on the school photo 1966 Stephen is sitting to my left 12th in on the second row. I was recently in contact with Stephen after discovering this site for the first time and drew his attention to it's existence. He was a thoroughly nice bloke when we were at school together and I've always followed his career with a keen interest. How he managed to cope with all the negative press he got while in office was beyond me. I always thought he did a great job in whatever department he headed. Anyway, I'm off now to meet up with my brother Paul, who also attended the College, to have a few drinks and go and watch my son play in his band. Some things never change. Cheers!" Richard Lawson was Senior Presenter on North Norfolk Radio until April 2005 and is now General Manager of a residential care home in Norwich – The Warren Care Home on Wroxham Road. "The best thing I ever did! My career has kinda gone full circle … Wymondham College, higher ed college, youngsters in care, hospitality leisure and entertainment – and now back to care again…and loving it! I am very proud of my days at Wymondham College – remember them very fondly. Whether the teachers would look at it quite the same way is another matter! I would very much like to catch up with some of my old mates from my years – Cavell/Peel 74 to 81-ish!" Andie Harper is Mid-Morning Presenter (9.00 -12.30) on BBC Radio Cambridgeshire. The station broadcasts on 96 & 95.7FM |:| DAB Digital Radio |:| 1026AM |:| Online at www.bbc.co.uk/cambridgeshire. Andie has been with the station since the late 80's where - as "Mr Music" - he used to provide background information on artists from the 60's and 70's. He graduated to the Sports Team and since then he has presented every programme on the station. He has presented his current show for the past four years. Andie was in West House (later Canterbury) 1958-66 and was House Captain in his final year. His son Adam (1981-87) and daughter Ceri (1983-88) were both in Kett. Colin Self Colin Self was at the College in the 1950s, went from there to Norwich Art School and later emerged on the 1960s pop art scene to wide acclaim. He has many Tate Britain exhibits. A biography and examples of his work are on the Tate web site. Paul Flattery Paul was in Durham House (Peel Hall) in the early Sixties; he arrived in the 4th form and left in 6th to go to the University of Wales (Bangor) where he graduated in Philosophy (Hons). He had edited his university's Arts and Science magazines as well as the student newspaper - which won a national award. 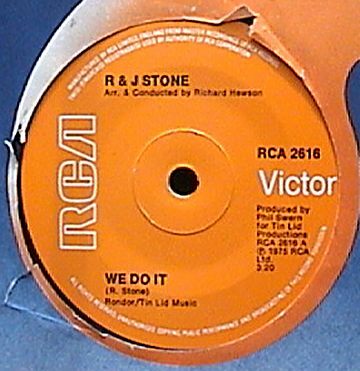 From university, he joined Granada Television as a producer/director trainee and soon began splitting his career between television (BBC, ITN, Thames TV, LWT) and journalism, including feature writing for the national newspapers and magazines including The London Sunday Times, Observer, and Daily Telegraph, Rolling Stone and Time Out. He also wrote "The Illustrated History of British Pop," published in the UK and USA. In 1979, he took a six week assignment to produce music videos in the United States and has been there ever since, producing and writing television specials and series including the historic Daytime Emmy-winning "Live 8" world broadcast, the Emmy-winning 23 hour Live Earth world broadcast and the Emmy-nominated post 9/11 "Concert For New York City." Guy Wilmshurst-Smith "In an earlier contribution to Mr Sayer's entry in "Teachers" I wrote about an incident with Guy W-S. Obviously he graduated from oranges to real hand grenades ... . I think Guy should appear in the Famous Former Pupils page. Public service is in my opinion much more laudable than the efforts of minor actors and actresses ...."
"Here's a pic of Guy I found on Google (he's the one in uniform), now Colonel Guy Edward Wilmshurst-Smith of the Royal Engineers; the recipient of The Queen's Commendation for Valuable Service for services during the war in Iraq; and he is also on the Board of the Institution of Royal Engineers." 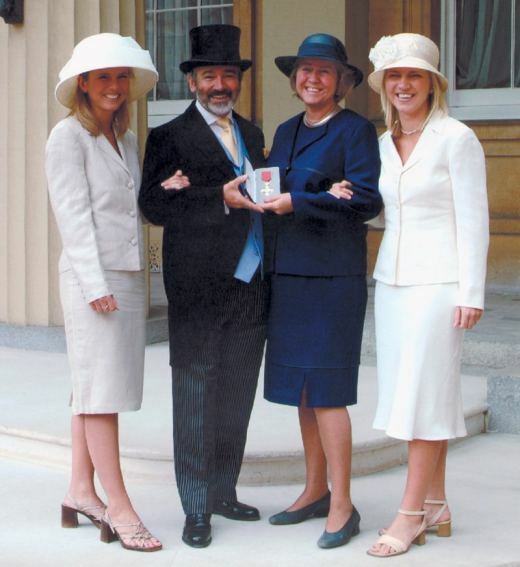 Julia, a veterinary surgeon, was awarded a Medal of the Order of Australia (equivalent to the OBE) in the Queen's Birthday Honours last year (2007). The Citation reads: for service to veterinary science through professional organisations, as a contributor to policy and professional standards development and as a mentor, particularly for overseas trained veterinarians. Julia receives her award from the Governor of South Australia, Rear Admiral Kevin Scarce. Graeme Gooday Graeme has been awarded his own Chair at Leeds University and is now Professor of the History of Science and Technology. The award is in recognition of his outstanding achievements in research, teaching and administration over the preceding years which have included fellowships granted by the British Academy and the Royal Society. Graeme, who was at the College 1975-82 is the son of Michael Gooday, Vice-Principal 1981-1993. Andrew Maudsley Andrew Maudsley (York House 1963-70), Ph.D., Professor of Radiology at the University of Miami Leonard M. Miller School of Medicine since 2002, has devoted his work to Radiology for about 30 years. Dr Maudsley holds the Gold Medal of the International Society for Magnetic Resonance in Medicine (ISMRM) in 2005. More from Wikipedia. Michael Rice 1957-64 South House then Gloucester. Now a Lecturer of Criminology at the University of Cambridge. "Very clever and an exceptionally nice bloke to boot" Bill Atkins. His profile can be seen here. He also features in The Cambridge News, leading a tour of Cambridge, taking in the sights of the City's criminal past. The Commandant of Humberside and South Yorkshire Army Cadet Force, Colonel David Fuller, has been presented his OBE by HRH Prince Charles, in a ceremony held at Buckingham Palace on 14th December. Announced in the Queen’s Birthday Honours List announced on 11 June 2011, Colonel David Fuller OBE follows over 44 years of service to the Army Cadet Force, while also working full time in his civilian life as Regional Principal Marine Surveyor, for the Maritime and Coastguard Agency. David enlisted as an Army Cadet in 1967, and joined the ACF as an Instructor in September 1972, and was the last officer commissioned into the East Riding ACF in March 1974, before amalgamation into Humberside ACF. After commissioning he served in many detachments within the East Riding before commanding both A and B Company of the force, the latter while studying for a part time degree in Mechanical and Electrical Engineering, where he gained First Class Honours. 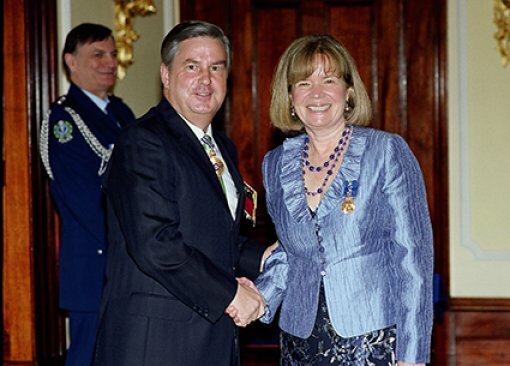 In 1995 he was tasked as the Public Relations Officer, an appointment which he enjoyed immensely, developing and expanding the image of the ACF greatly and ensuring that the ACF was kept very firmly in the public eye, with the result that the county was awarded the National Wilkinson Sword of PR Excellence for two consecutive years in 1999 and 2000. During 2003 he developed and gained approval for the idea of producing a Tri-Service Cadet magazine, the Cadet Review, for the three services across Yorkshire and the Humber. Supported by the Reserve Forces’ and Cadets’ Association (RFCA) this commenced production soon afterwards and has been a great success in showing the achievements of the cadets in the region. 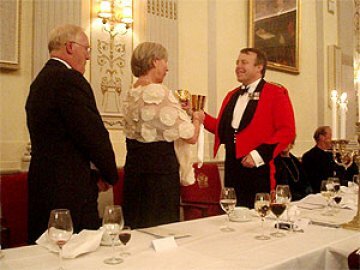 David assumed command of Humberside and South Yorkshire ACF, the largest ACF county in the country, with some 1700 cadets and 350 Officers and Instructors, on 1st January 2007 and was promoted to Colonel, in a role he continues to thoroughly enjoy. Additionally he has been responsible for the organisation, planning and execution of two successful tri-service expeditions to the Himalaya and is presently organising a third to be run in 2012. He is also a qualified Watermanship Safety Officer and has run safe training on water based activities for over thirty years. That is little change from his day job, as the Regional Principal Marine Surveyor, for the Maritime and Coastguard Agency, where he is responsible for the survey and inspection of some 2000 fishing vessels covering a patch between the Scottish border and the Devon/Dorset border on the east and south coast of the UK, together with some 30 large fishing vessels which operate in the Falkland Islands. He is married to Alex and has two children, Sarah, who is 29 and a Hotel Reservations Manager, and Iain, who is 27 and a regular soldier serving with the Royal Army Veterinary Corps, and lives near Beverley in East Yorkshire.